In Japanese culture a strong emphasis on silence permeates throughout society. The concept of Chinmoku, or silence, has great cultural value in day to day Japanese life. One of the first distinctions a visitor to Japan will notice in comparison with most places in the world will be that Japanese people are generally very careful about how they communicate verbally. This often gives the appearance of low levels of verbal communication wherever people are gathered. Why? 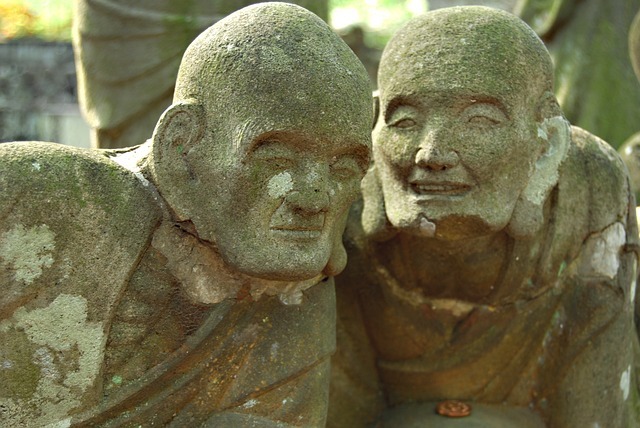 Chinmoku can be attributed to the substantial Zen Buddhist emphasis which teaches that silence in communication tends to lend one to truthfulness. Japanese society therefore views silence as a highly favorable trait to the point where almost every traditional art has a period of quiet reflection included therein. Knowing how as well as when to be silent is key to Japanese life. In America a popular saying about talking too much is quoted as follows, “Better to remain silent and be thought a fool than to speak and remove all doubt.” The Japanese people take this to a serious level by carefully applying it to the group setting. By limiting verbal communication it is thought that group harmony is increased with less chances of conflict with other people occurring. Also it is important to be aware of who is around you in the realm of social hierarchy, and thereby limiting what is said so as to show respect to those in a ‘higher’ social rank. How can Chinmoku impact missionary work? On the positive side Chinmoku can be of great importance when trying to understand people because ideally they will say only what is most important or will use more time to communicate in the best possible way. However, on the negative side Chinmoku can be used to hide true intentions, feelings, or be used to be particularly vague so as to not cause offense. Since silence can be used to avoid conflicts in Japan, there can be great pressure to avoid talking about or even preaching about certain topics in the Bible. Also, such is the extent of Chinmoku in society, that if crime or bullying occurs in public many times Japanese people will simply ignore it or remain silent about what goes on. Silence can also be used to end relationships or show disdain. Because Westerners place more emphasis on direct communication they can be frustrated by the Japanese emphasis on silence! Please pray for us as we navigate this Chinmoku culture!